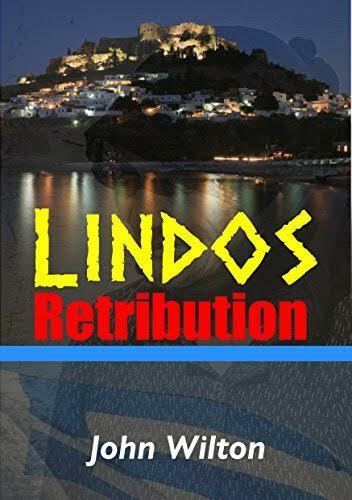 The relaxed holiday atmosphere in the picturesque little village of Lindos is shaken into one full of suspicion and tension when the dead body of a British ex-pat is discovered early one June Friday morning in nearby St. Paul's bay. Enquiries by Inspector Dimitris Karagoulis from Rhodes Town soon uncover a web of infidelity, jealousy, misinformation, and gossip in the village, particularly amongst the ex-pat community. Over the following weekend further events lead him even to doubt the true identity of some of the people involved, and to question their past. The urgency for the arrest of the murderer or murderers is heightened by growing concern by the bar and restaurant owners in the village over damage to the tourist trade. As the Inspector's enquiries proceed he eventually discovers a story extending back long before that summer, and far beyond the Greek paradise of Lindos.